Please be our guest in the Fr. Milligan Activity Center as we show our appreciation for all that you do at St. Ephrem Parish! Join us for a wonderful dinner, beer, wine, pop, desserts, games, prizes, music, dancing, and surprises!! The theme of the evening is Hawaiian Luau. Please wear appropriate, themed clothing if you’d like! We hope you will be here so that we can THANK YOU with an evening of fun! 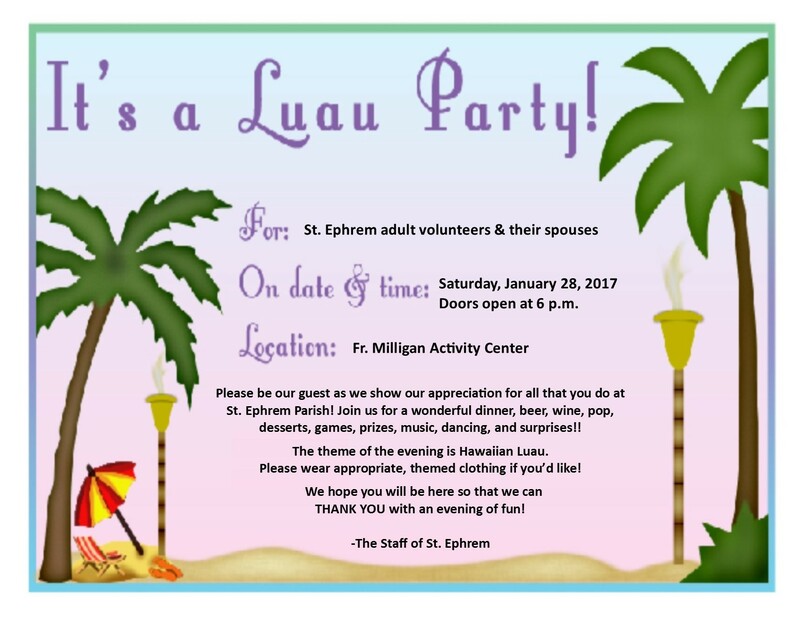 For any questions, please call the parish offices at 586 264 1230.